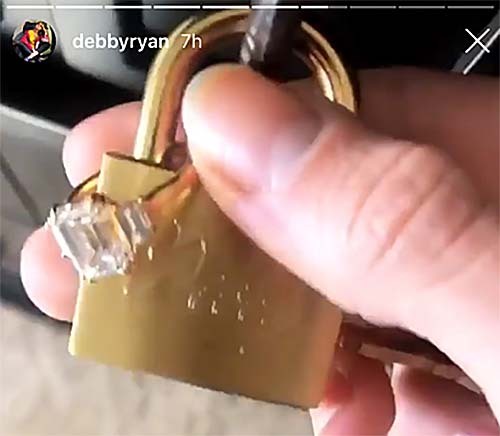 Actress Debby Ryan recently had some fun with her Twitter followers as she sought advice on how to keep her new diamond engagement ring secure on the set as she begins filming the second season of the Netflix comedy Insatiable. Unfortunately, Ryan’s character, Patty, is not engaged, so the ring can’t be part of her on-set wardrobe. Ryan’s Instagram Stories revealed how she eventually solved her dilemma. 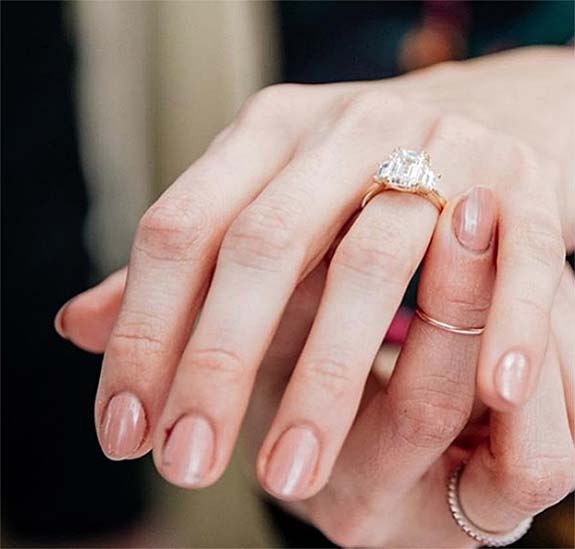 She slipped the ring onto a padlock and affixed it to an immoveable object in her trailer — although it was unclear from the photo exactly what it was locked onto. He noted that any determined thief could unscrew the handle and walk off with the ring. “Try again, ma’am,” he wrote. 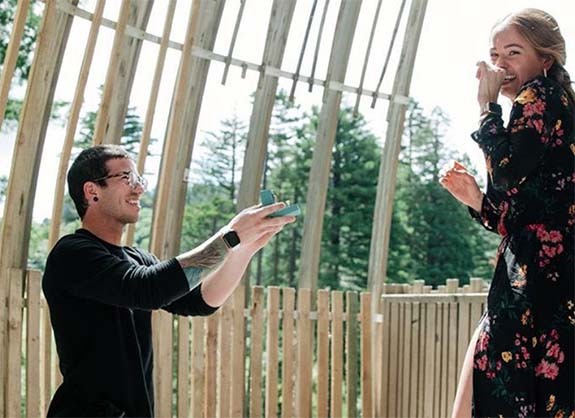 Right after Ryan accepted Dun’s proposal and her new engagement ring at the end of December, the pair turned to Instagram to share the news with their fans.